We work together with selected partners in order to bring you relevant construction insight. Barbour ABI was chosen after a formal tender process to collect, collate and publish the future construction pipeline for the government. Barbour ABI is the chosen partner of the Office for National Statistics to collect and publish the construction New Orders Data. Partner of the Scottish Government in providing Construction New Orders estimates to the National Accounts Unit, Office of the Chief Economic Adviser, Scottish Government. Providing Construction New Orders estimates to the Economy, Skills and Natural Resources Statistics unit. The Construction Products Association represents the UK’s manufacturers and distributors of construction products and materials. Michael Dall, our Lead Economist, sits on the CPA Construction Forecast Panel and Economics Research Group. Through our partnership with BRE, we are able to feature BREEAM ratings in our projects. The CCCIS meets twice a year to discuss issues relating to the collection and dissemination of UK construction statistics. 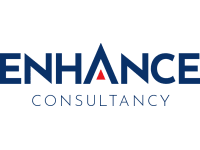 Formed in 2007 by former Barbour ABI National Sales Manager Andrew Mackie, Enhance Consultancy are telemarketing experts working exclusively in construction. 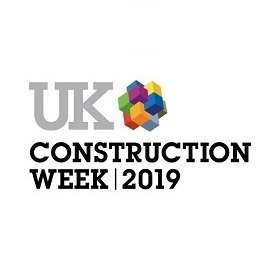 UK Construction Week (UKCW) is the UK’s largest built environment event; bringing together 35,000 construction professionals and 650+ exhibitors at the NEC Birmingham on 8-10 October 2019.